Tired of being alone? Still seeking companionship? Discovering Love Online: Love May Be Closer Than You Think equips you for success in the world of online dating. Chuck Miller offers an inspirational guide that leads you step-by-step, start-to-finish along a path designed to maximize your experience as you seek the love of your life. Analyze what defines you and what you’re seeking in a lifelong relationship. Select the Internet dating service that’s best suited to your specific needs. Date safely and protect yourself against scammers, players and predators. Weave together an accurate and winsome online profile that gets results. Make informed decisions as you evaluate your list of potential matches. Improve your communication skills and interact effectively with others. Avoid the jitters by preparing for your first-date encounters in advance. Recognize whether you’re experiencing love, infatuation or desperation. Identify and correct what’s wrong when you meet with a lack of success. Determine if your future partner passes the “Litmus Test” for lasting love. Prepare Yourself For The Adventure! 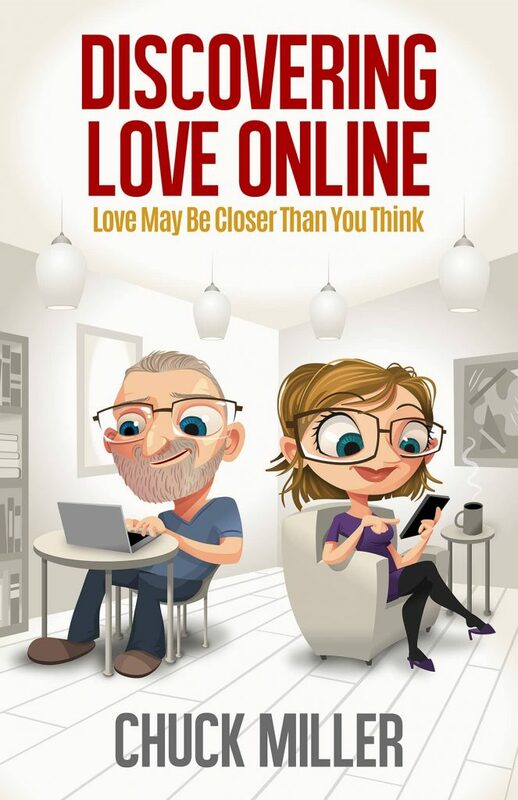 Packed with humor, hope, and helpful advice, Discovering Love Online: Love May Be Closer Than You Think provides the tools, direction and encouragement needed when seeking the love of your life through online dating.